Wicklow County Council Joint Policing Committee will hold a public meeting on Wednesday 2nd November, 2016 in Roundwood Parish Hall and Centre, Roundwood commencing 8.00 p.m. The focus of the public meeting will be on policing, rather than individuals and obtaining the co-operation of the public in preventing crime. The local community will have the opportunity to make their views known and ask questions of the members of the committee and all are welcome to attend. The Committee will also formally launch the newly adopted Joint Policing Committee 6 Year Strategic Plan on the evening. Our Annual Mass of Remembrance – Service of Light will be on Saturday 5th November at 6.30pm. This Mass is for Parishioners who died between 15th September 2015 and 14th September 2016 and whose funerals took place from either Roundwood or Moneystown Church. There is a Remembrance Mass in March 2017 for Parishioners/Former Parishioners whose funerals took place in other Parishes. Talk by Dr Neil Carlin, Dept of Archaeology, UCD. Tues Nov 1st at 20.00 in Roundwood Parish Hall. The title of the talk is “People, Places and Things: the life stories of Beaker polypod bowls in Ireland”. In this paper, Dr Carlin will discuss the archaeological evidence for the Beaker tradition, polypod bowls that have been found in Ireland, particularly in the east of the island in Meath and South Dublin. These bowls form part of an assemblage of pots known as Beakers that were used across Europe around 2500 BC.Dr Carlin will share the story of how his research into the use of these pots inspired a New Zealand ceramic artist, to create a sculpture which he helped destroy at a public ceremony in Dublin in 2014. This talk will appeal to the wider public who may not know much at all about archaeology or the specific topic as well as people with much more knowledge of the subject. All are welcome – The talk is open to the general public as well as Society members. An entrance fee of €3 is payable at the door. Learn traditional Irish music and dance with an award-winning Comhaltas branch (guitar, fiddle, flute, tin whistle and grúpa ceoil). Classes are held at 7 pm on Tuesday nights in St. Laurence O’Toole N.S., Roundwood – the first term is from September to January while the second term is from January to May. Performances, workshops and outings take place throughout the year. For more information phone 086-8269964 or email roundwoodcce@gmail.com. A 45 Card Game takes place every Tuesday night in Moneystown Community Centre starting at 8.30pm. Teas served. All are welcome. This entry was posted in News & Events on October 25, 2016 by roundwoodiewicklow. The Get Ireland/Roundwood Walking initiative had a great turn out last Wednesday evening with 30 folk stepping out from Aras an Tochar. The scheme aims to promote, encourage and support people to get walking while unifying the efforts of all recreation, sporting and health promotion agencies and associations interested in promoting walking. It is funded by the Irish Sports Council and the HSE, and supported by the Irish Heart Foundation, Mountaineering Ireland, Age and Opportunity, the GAA, Arthritis Ireland and others. In association with Get Ireland Walking and Wicklow Local Sports Partnership, the Roundwood & District Community Council will continue to organise these leisurely weekly walks in the area every Wednesday (from October 12th) at 7pm starting off from Aras an Tochar. Everyone is welcome to come along to walk at their own pace for less than one hour. 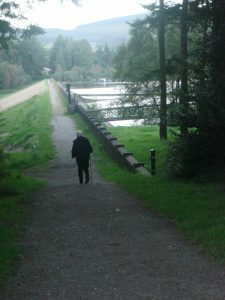 These walks provide the opportunity to get some exercise and are also a social event with a cuppa afterwards in the complex. If there is enough interest a morning walk will also be organised starting from the village. For those interested, walk leader training will be organised at a later stage. So do come along on Wednesday 7pm to An Tochar GAA Club. All ages and abilities are welcome. A reminder that the Active Retirement Lunch club will take place on Friday 21st October in Chester Beattys, Ashford at 1.30. The results of the whist are as follows:- Top Score: Ann Pierce; Top Lady: Maura McHugh; Second Lady: Anne Wolohan; Top Gent: Paddy Halligan; Second Gent: Anne Gaffney; First Half: Paddy O’Brien; Second Half: Kitty Kennedy; Lowest Score: Molly Byrne & Longest Sitting: Magdalen Kennedy. Raffle prizes were won by: Anne Gaffney, Richie Cullen, Paddy Halligan, Margaret Kennedy & Maura McHugh Next whist will be tonight Wednesday 26th October in The Parish Centre. Catherine McGillycuddy and Monica Brady were 1st for North/South on Monday 10th October, 2nd Teresa Leahy and Marian Davis, 3rd Phil Power and Nancy O Brien and 4th Rachel Judd and Molly Byrne. 1st for East/West were Ger Lenihan and Paddy O Brien, 2nd Brid Clancy and Catherine Halligan, 3rd Pamela Byrne and Clare Sally and 4th Miriam Coyle and Pat Rushe. The Roundwood and District Historical Society will hold a talk on Tuesday Nov 1st with Speaker – Dr Neil Carlin talking on ‘People, Places and Things: the life stories of Beaker polypod bowls in Ireland’ It is our intention to arrange further talks for early 2017 and once speakers are confirmed we will forward dates and details to you. Admission €3 The talk will take place in the Parish Hall and commence at 8pm. We have also provisionally arranged our annual Christmas dinner to take place in the Roundwood Inn on Friday, December 9th – more details later. This entry was posted in News & Events on October 17, 2016 by roundwoodiewicklow. Get Ireland Walking aims to promote, encourage and support people to get walking while unifying the efforts of all recreation, sporting and health promotion agencies and associations interested in promoting walking. It is funded by the Irish Sports Council and the HSE, and supported by the Irish Heart Foundation, Mountaineering Ireland, Age and Opportunity, GAA, Arthritis Ireland and others. In association with Get Ireland Walking, Wicklow Local Sports Partnership and Roundwood & District Community Council are organising leisurely weekly walks in the area starting on the 12th of October at 7pm from Aras an Tochar. Everyone is welcome to come along to walk at their own pace for less than one hour. These walks provide the opportunity to get some exercise and are also a social event with a cuppa afterwards in the complex. If there is enough interest a morning walk will also be organised starting from the village. For those interested walk leader training can be provided at a later stage. So do come along to the first night on October 12th 7pm at An Tochar GAA. All ages and abilities are welcome. On October 21st John Flood will play in Roundwood Parish Centre. The results of the whist are as follows:- Top Score: Jimmy Molloy; Top Gent: Lucy Molloy; Second Gent: Pat Fisher & Richie Cullen; Top Lady: Paddy Halligan; Second Lady: Patricia Byrne; First Half: Anne Gaffney; Second Half: Maura McHugh; Lowest Score: Ann Pierce and Longest Sitting: Tom McHugh. Raffle prizes were won by Mary Murphy, Maura McHugh, Richie Cullen & Anne Pierce. Next whist will be tonight Wednesday 12th October in The Parish Centre. Noeleen Redmond and Margaret Bolger played their cards right on Friday 7th October to take 1st place for North/South, 2nd Molly Byrne and Rachel Judd and 3rd Monica Brady and June Digby. Sharing 1st place for East/West were Bridie Nolan and Maura Gaskin with Paddy O Brien and Jim McNamara whilst Kitty Heslin and Triona Woodroofe took 3rd place. Rebecca Delamere will be teaching group Maths lessons on a weekly basis in the Parish Hall in Roundwood for secondary school students. Class sizes will be very small and there will be classes at different levels. These lessons provide support for students who may be struggling with Maths in school, support for students who are aiming for high grades and also prepare students for their Maths exams. To reserve a space of for further information, please contact Rebecca on 086 0650129 orrebeccadelameremathslessons@outlook.ie. This entry was posted in News & Events on October 10, 2016 by roundwoodiewicklow.